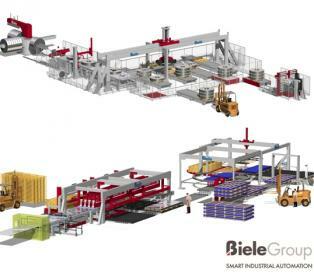 Biele Group will be present at EUROBLECH 2014 showing its latest innovations in handling and packaging lines for large metal sheets, plates, panels and coils, as well as the latest in technology for stacking blanking lines. We will be also showing our press lines which can handle new materials. Visit us from 21st to 25th October in Hall 27 Stand J 15 to discover all that Biele Group can offer you to maximize the potential of your production line.